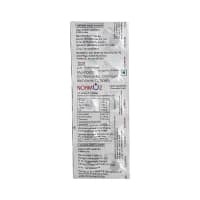 Toprisun 50 mg Tablet is used for epilepsy/seizures and preventive treatment of migraine. Take this medicine in the dose and duration as advised by your doctor. Swallow it as a whole. Do not chew, crush or break it. Toprisun 50 mg Tablet may be taken with or without food, but it is better to take it at a fixed time. Toprisun 50 mg Tablet is an antiepileptic medication. It controls seizures or fits by decreasing the abnormal and excessive activity of the nerve cells in the brain. 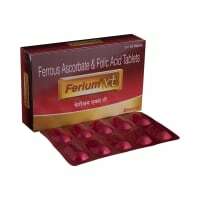 Toprisun 50 mg Tablet may cause excessive drowsiness with alcohol. Toprisun 50 mg Tablet is unsafe to use during pregnancy. Toprisun 50 mg Tablet is probably safe to use during lactation. Limited human data suggests that the drug does not represent a significant risk to the baby. Toprisun 50 mg Tablet may make you feel dizzy, drowsy or affect your vision. Do not drive until your vision is clear. Toprisun 50 mg Tablet should be used with caution in patients with kidney disease. Dose adjustment of Toprisun 50 mg Tablet may be needed. Please consult your doctor. 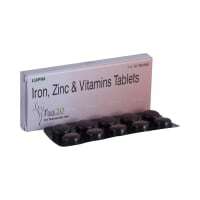 Toprisun 50 mg Tablet should be used with caution in patients with liver disease. Dose adjustment of Toprisun 50 mg Tablet may be needed. Please consult your doctor. What if you miss a dose of Toprisun Tablet? If you miss a dose of Toprisun 50 mg Tablet, take it as soon as possible. However, if it is almost time for your next dose, skip the missed dose and go back to your regular schedule. Do not double the dose. Toprisun 50 mg Tablet helps in the treatment and prevention of seizures. Avoid consuming alcohol when taking Toprisun 50 mg Tablet, as it may cause excessive sleepiness or drowsiness. Keep yourself hydrated by drinking plenty of fluids throughout the day while taking Toprisun 50 mg Tablet. This can reduce the risk of kidney stones. 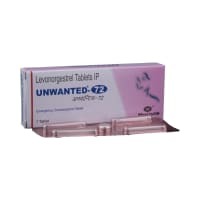 Do not take Toprisun 50 mg Tablet if you are pregnant or planning to conceive or breastfeeding. I am a patient of epilepsy and i am using mazetol 200 tablet for last 6 years to avoid strokes.Is there any permanent treatement for this disease. Epilepsy requires regular treatment with anticonvulsants like encorate chrono for at least 3 years of seizure free period after which medicines may be tapered off unless seizures reappear. 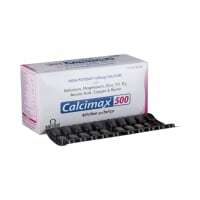 At present, there are no other effective treatment options. It is used to treat All forms of epilepsy, generalised epilepsy with absence seizures, prophylaxis of febrile convulsion, prophylaxis of post traumatic epilepsy, alcohol withdrawal, mania, nelsons syndrome. Hello, epilepsy and seizures cannot be treated online without physically examining the child and detailed history. Do you have any questions related to Toprisun 50 mg Tablet? Q. For how long do I need to take Toprisun? The dose and duration of this medicine will depend on your doctor’s advice. Toprisun does not cure your condition (seizures/migraine) but prevents them from occurring. So, you may have to keep taking it for months or years depending on improvement in your symptoms and side effects that may occur. Q. Is Toprisun good for anxiety? Q. Is Toprisun safe to take? Yes, Toprisun is safe if taken as prescribed and advised by the doctor. Q. What are the serious side effects of Toprisun? Serious side effects of Toprisun are rare. These serious effects of Toprisun may include glaucoma (difficulty in seeing, eye pain and blurred vision), kidney stones (sharp pain in your sides or lower back) and metabolic acidosis (tiredness, loss of appetite, irregular and faint heartbeat). Other serious side effect of Toprisun could be suicidal thoughts and insufficient sweating (some children taking Toprisun may not sweat enough in hot weather, causing their body temperatures to rise). Q. I am taking valproic acid for fits. Will Toprisun interfere with the working of valproic acid? Can this combination be taken? Toprisun does not interfere with the working of valproic acid, but it increases the risk of getting increased levels of ammonia in blood (hyperammonemia). This can be dangerous. Excess levels of ammonia in blood may cause difficulty in thinking, remembering information, or solving problems. It may decrease your alertness and make you feel very sleepy with low energy. Tell your doctor immediately if you notice these symptoms. In rare cases, hyperammonemia may even occur because of Toprisun alone. Q. Can Toprisun be used in children? Yes, Toprisun is used for seizures in children more than 2 years of age. However, because of the lack of any reports, this medicine is not recommended to be used in children for migraine. A licensed pharmacy from your nearest location will deliver Toprisun 50mg Tablet. Once the pharmacy accepts your order, the details of the pharmacy will be shared with you. Acceptance of your order is based on the validity of your prescription and the availability of this medicine.